How Does a Canadian EOR Work? The business world is beginning to think outside the box more, as the pressure of technology and globalization set in. The rules have changed, the game has changed, and that has people looking for alternative solutions to age-old problems. A Canadian EOR (or an Employer of Record) isn't a new business, but it is one that has been talked about more and more lately. 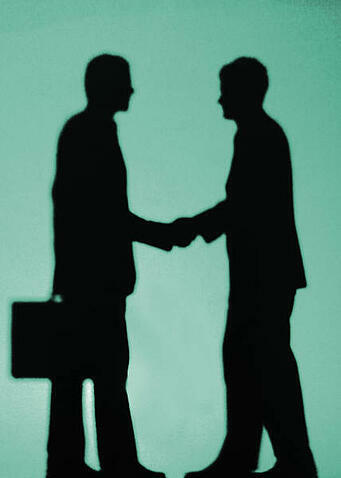 They specialize in business solutions of all kinds—a kind of partner that helps businesses with various tasks. In some cases, they help manage peripherals, like payroll, taxes, and human resources. In others, they step up and help businesses expand to new environments and new countries. They've been increasing in popularity a great deal in the last few years and it's no wonder. That said, there are still some questions floating around, ones that need answers. What exactly is an EOR? What can they do? How do they work? Luckily, we have all those answers and more. In terms of a Canadian EOR, they're perhaps most well known as specialists in aiding business expansion for companies of all sizes and types. Of all things, expanding is no doubt one of the most challenging journeys a company will ever go on – there's researching the lay of the land, learning new laws, registration and administrative infrastructure, hiring and managing foreign employees. It can be overwhelming for even massive corporations and it takes a lot of time, a lot of money and a lot of patience. With luck, that's where EORs come in and, for the most part, why they've been increasing in popularity. A Canadian EOR acts as the legal employer for your foreign workers—that is, they officially employ them, pay them, manage them and all other things that are necessary, and you simply contract your workers from them. Since the EOR is already well established in the country, both culturally and legally, you gain the benefit of their expertise. You choose the employees, you draft the employee agreement, and best of all, you can skirt all the tedious paperwork and registration usually needed to expand. Naturally, an important question that comes up on a regular basis is the legality of the situation. You'll be pleased to know when working with a Canadian EOR, regardless of where in the country you do it, you're one hundred percent in accordance with the law. With an EOR at your side, you'll never have to worry about complicated legal compliance. They'll even ensure your taxes are paid to the Canadian Revenue Agency on your behalf, which is one less thing to worry about. It's not just business expansion that an EOR specializes in—it's all the managerial tasks associated with employee management as well. Especially as a foreign company, it will be challenging tackling new human rights and labour laws, tax laws, and deductions, all while following both your native laws and Canadian laws to boot. EORs are experts in payroll and payroll efficiency, which means you not only get the benefit of an employer organization, but that of a payroll service provider as well. That means you don’t have to worry about processing payroll in a new country with new regulations, you can entrust that duty to the EOR and their teams of experts. A Canadian EOR can also offer benefit package deals, which can help attract and retain only the most skilled employees and, because they're so familiar with the laws, can ensure you're up to code in all regards. In effect, their job is to eliminate as many obstacles as possible so your business can operate smoothly. For any business entering a new market, a Canadian Employer of Record (EOR) can be the difference between easing into the Canadian market with knowledge and foresight or grappling with stagnant growth in the initial stages. Read up on just some of these key benefits and avoid the potential pitfalls that can happen to a business that strikes out into the Canadian wilderness on their own. Often, the recruitment process in a foreign nation can be lengthy and arduous. Screening job candidates, scheduling and conduction interviews, and potential cultural differences can all make for a frustrating experience for a business trying to get it's footing on new soil. An established Canadian EOR already draws from a vast wealth of relations with Canadian firms and will be able to connect you to a qualified pool of potential employees. Typically, a Canadian EOR will already possess tried-and-tested personnel who are ready to step in and fill those roles that you need filled by a native Canadian employee. Furthermore, the Canadian PEO will be able to negotiate benefit plans with local insurance companies that would be impossible to obtain for SMBs (Small-to-Medium businesses) and might fly under the radar of larger corporations coming from outside of Canada. This is going to lead to a much more attractive benefits plan for potential employees and a happier workforce overall. Often overlooked, occasionally to detrimental effect, is the maintenance of legal compliance for a foreign company. Dealing with one nation’s rules and regulations can be daunting, nevermind having to deal with a foreign country's whole new set of rules. A Canadian EOR is already fluent in Canadian policy and should have a standing relationship with the Canada Revenue Agency. Partnering with an Employment of Record will certainly lessen the paperwork on your desk, and might even save you from a costly mistake. The EOR is already registered, and strategically inclined towards letting you focus on long-term goals without getting bogged down in the details. With an EOR you're never going to have to worry about unexpected tax regulations or losing track of changing laws. Ultimately, an EOR is about outsourcing payroll to a local partner, to save you time and money. Sure, you could hire your own legal team, your own HR department and/or payroll department, but having to deal with the costs of each dedicated group can be daunting, particularly for SMBs. Your partnered Canadian EOR is going to supply you with a reliable team of all three, and as a third party organization it's going to charge a flat rate to cover all of your needs. As an expanding company, you want to focus on clarifying and maintaining your vision and convincing foreign markets that they need to make space for your enterprise. The mountain of legal paperwork that you have to fill out isn't going to help you when you need to make a case for keeping your foot in the door. Hiring an Employer of Record will ultimately keep your growing company healthy and thriving, and help you make a name for your business as an international firm. 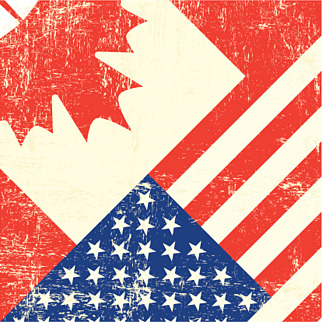 In the last few years, more and more US companies have been hiring workers abroad in Canada. It's no wonder – Canada is known for having high educational standards, hard workers and a similar cultural business environment, making it an easy and beneficial transition for many. Even when you put aside the work it takes to establish yourself and obtain these workers, there are still a few questions ahead. How will you manage payroll? What laws are you required to follow? 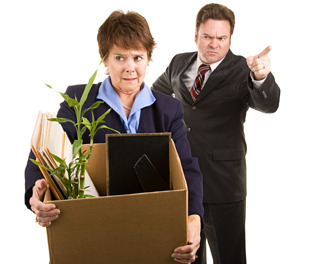 And, perhaps most importantly, how do you handle human resources for foreign employees? Luckily, the world of human resources has been keeping up with ambitious expansion into other areas, especially Canada, and has the solution: hiring an employer of record (an EOR) is not just for obtaining employees or establishing a presence anymore. They also handle human resources and here are just a few of the things they can do for you. One of the biggest downsides to having foreign employees, according to the employees themselves, is a feeling of isolation from the head office. Being so far away from the main headquarters of a company, many workers are managed from afar and studies have shown that they often suffer for it – not just in terms of morale, but in terms of work as well. When you hire an EOR to not just hire, but also manage your employees, you're ensuring that they feel comfortable and have direct assistance and direction where they need it most. An EOR takes morale seriously and also strives to ensure you get the best quality work from the best quality workers possible, so it's a solution that benefits everyone. Despite being best known as the easiest way to hire employees in a foreign country, EORs actually excel in terms of payroll management. As a team, they're incredibly well-versed in payroll laws, accounting and efficiency and can manage everything from regular payroll to garnishments, pay outs to RSPs and benefit plans – they can even pay your business’s taxes on your behalf. They're always looking for the most efficient way to manage everything so that every aspect of your business can run smoothly. Because an employer of record deals with employees from not just your company, but many, they are able to secure incredible rates when it comes to benefits based on the sheer number of employees they represent. Many companies, ones too small to consider getting benefits, have been able to secure medical, dental, optical and life insurance (among others) at a cost they would never have expected given their small size and limited budget. An EOR is dedicated to ensuring you get the benefits plan that suits not just you, but your budget as well, and can easily negotiate on behalf of you and your workers for comprehensive plans that can raise employee retention and attract new talent. 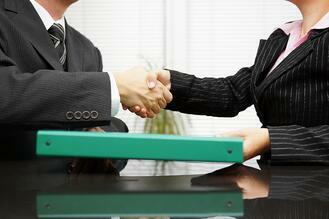 Having legal experts on your side (without that legal cost) is one of the best things a business could hope for. This means that your human resources policies will remain adhered to, fair and legally compliant to ensure the safety and comfort of both you and your workers at all times. 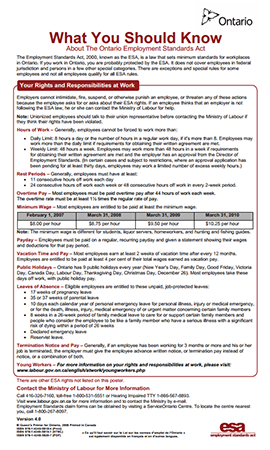 An EOR stays up-to-date on all new laws that come into play, even as they change month to month. They understand municipal, provincial and federal law and ensure compliance in all interactions with employees and your company and it reflects in terms of payroll, policies, insurance and infrastructure and everything else they do. Minimize the risk your company might face and reduce the cost of a full legal team by consulting with an EOR. You'd be surprised what they could do for you. EOR (employer of record) agreements are a relatively new consideration for businesses, especially ones that have never hired Canadian employees before. Because of variances in laws and regulations across the border, it can be difficult to know what exactly to include in one and what can be asked of your EOR and the workers they employ on your behalf. More businesses than ever are engaging the services of an employer of record to make the hiring process easier in a foreign market. 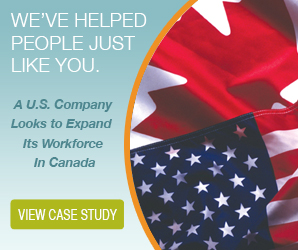 Because they're already set up with an official business, tax filings, business insurance and other administrative things, they make it easy to skip the hardest parts of expansion and move straight to hiring skilled Canadian employees. An EOR acts as the employer on your behalf, which means any contracts signed are between your business and them; and between them and the employees – no agreements are typically signed between you and the employees, which makes things easier in a lot of cases. On the other hand, businesses can make provisions within their agreements with an EOR to include some clauses and information that employees must agree to in order to be contracted to them and that's where the confusion begins. While some laws apply to both Canadian employees and American employees, other laws don't – this goes for clauses as well. There are a great deal of clauses and inclusions you're not allowed to add to these agreements, and that's what we're here to talk about. Be sure to include information about the kind of insurance you require – for some, this is insurance provided by the EOR or asked of the employee. This ensures you and your workers are safe from whatever pitfalls may come their way and also protects you from liability in the case of a workplace accident or harassment issue. While in Canada, non-compete agreements are next to impossible to enforce, it's not uncommon to ask each worker to sign a non-solicitation agreement. What that agreement ensures is that they don't try to engage your clients on their own, or try to poach any of your employees to come work with them either. This can also be added along side a non-disclosure agreement to protect any trade secrets, processes or information they learn while they're there from being shared with competitors. It's incredibly important, just like with regular employees, to get your Canadian employees to be familiar with and sign any and all worker health and safety agreements you have. This includes workplace violence clauses, harassment policies and rules about how to safely do their jobs without putting themselves or anyone else at risk. It's incredible important that this is included in the agreement with the EOR, so that everyone knows what it is that is expected of them and most importantly, to keep everyone comfortable, happy and safe. It may seem unusual, but it's not acceptable to include your employee manual alongside the agreement. While certain provisions like health and safety policies, mentioned above, are acceptable, they can't be expected to abide by the entire thing since they are not technically your workers. 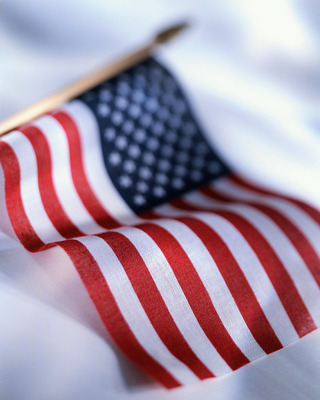 Be sure that you know the labour laws in the region you're working within – this may seem like a no brainer, but a great deal of American laws are more different than you'd think and this means that Canadian employees have different standards. To that end, you're not allowed to include any policies or rules that violate those laws, such as asking for more than maximum hours, or offering less pay than the provincial minimum wage. As the EOR is your partner, feel free to ask them what can and cannot be included. Their advice is crucial and can only make the process simpler. Canada is the land of opportunity. 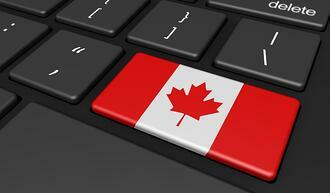 Many foreign companies see the Great White North as a great business opportunity. Though profitable it isn’t always easy to expand. 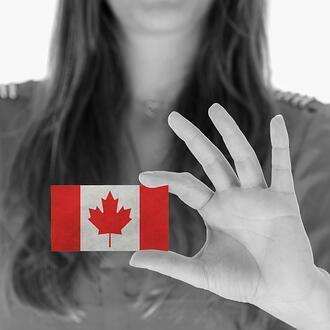 Specifically, when it comes to employing someone in Canada, there will be hurdles to jump over, challenges to overcome, and a lot of information to know to ensure that you’re being compliant with Canadian employment regulations. To help you build a workforce in Canada, here are seven helpful tips. Even though you’ve registered your business in your own country and have been in business for years doesn’t mean you don’t need to do it all over again when employing someone in Canada. Even if you only have one person on your payroll to start with, you’re going to need to register for a business number (BN). With this number, you can then register for a payroll account with the Canada Revenue Agency. An important thing to remember is that you must open up this account before the first remittance due date. Be careful. If you’re employing someone in Canada on a contract basis in order to avoid the cost and hassle of dealing with payrolled employees, such as having to pay into CPP and EI and having to follow specific regulations and laws, make sure you’re classifying properly. Even if you have a written contract that identifies the worker as a contractor, the CRA may still make the judgment that the worker is in fact an employee and you will get hit with fines and penalties for this misclassification. 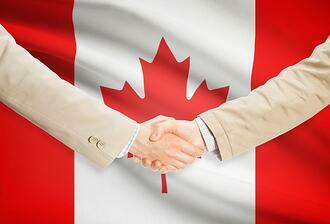 When employing someone in Canada your company should put the job offer in writing. Ensure that the terms in the offer comply with the employment standards for the province or territory that you are operating in. This includes the salary, benefits, overtime pay, duties and responsibilities, terms of relocation, work hours, starting date, and probationary period, among others. When employing someone in Canada for the first time, you might not know what type of paperwork you need from the worker. So here it is: when an employee starts work, you will need his social insurance number (SIN) and you will need to have him fill out both a federal and provincial TD1 Form. Be careful when it comes to employment standards in Canada. They will differ depending on your location of operation. What might be legal or correct in one province may not be in another. For example, there will be different regulations for hours of work, tax rates, deductions, minimum wage, breaks, overtime, frequency of pay, and vacation pay, among other factors. Additionally, federally incorporated companies may be governed by either federal or provincial legislations depending on the type of work being done. Make sure you are following the correct regulations for your own province or territory. Employing someone in Canada comes with certain obligations, one of which is government remittances. You will be required to remit the correct deductions you’ve withheld to the taxation centre. For your first remittance, you will need to send a cheque or money order for the funds due as well as a letter that states that you are a new remitter, the period that the remittance covers, your company name, phone number, and address, and your business number. 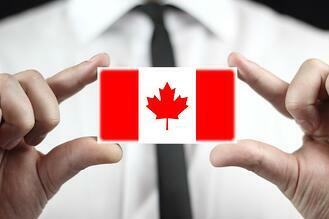 Employing someone in Canada for the first time can be risky. If you’re not fully knowledgeable about the employment standards and the payroll and tax regulations, you could be putting your company at risk of penalties. Luckily, you don’t have to do it alone. You can partner with an employer of record (EOR). Your EOR will become the legal employer to your workers and will handle the work that comes with this responsibility.